Part of a Super Bowl Party than FOOD! I just had a heart-to-heart with my mom. I've been hearing stuff all week about chips and dip, beer, and guacamole. What is that, anyway? I felt it was my responsibility to inform her that there are 2 dogs in the house that also anticipate something special to eat during the game. After all, we've been busy helping her get ready for this Super Dog Sunday Blog Hop for 2 weeks now. We deserve a little thanks. Right? Mom has posted the Peanut Butter Dog Treats recipe and photos over at All Things Dog Blog. You're probably going to want to make them for your Fido. They're super yummy. Guess what the promise is. Valentines' Day is coming up. 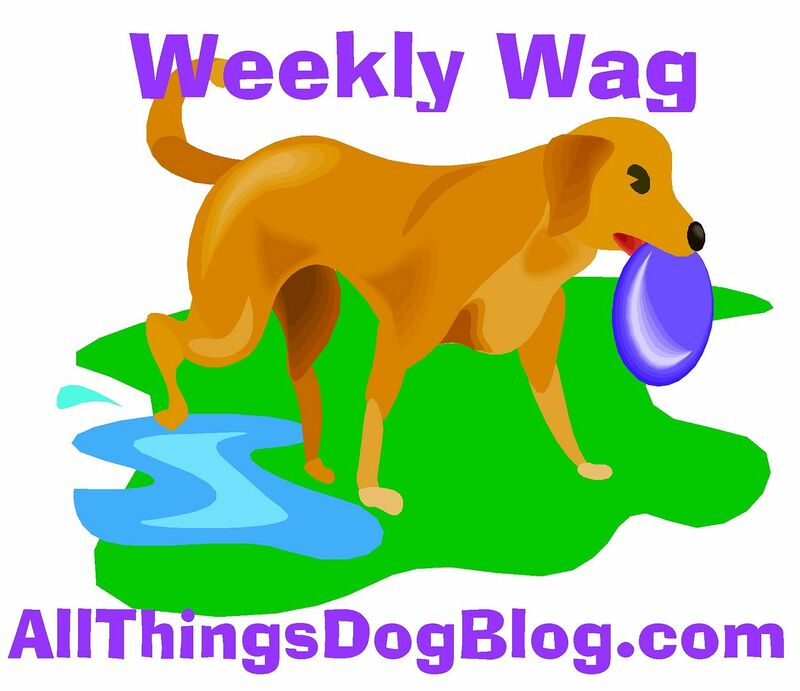 Mom wrote a post at All Things Dog Blog about the woes of chocolate for dogs. All that did was make me want it more. So we came up with a plan. Mom got a great recipe for Mock doggie chocolate. It's even got peanut butter and walnuts in it. She says it's made out of carob and I'll love it. I wasn't too pleased to learn that she made a batch to test this week, and didn't test it on me. But then she produced a piece for Oliver and I to sample, so I've forgiven her. It was really, really, really, yummy. Did I mention that I liked it? Mom says she'll be posting the recipe on Valentine's Day and that I can tell you all about it. Make sure you don't miss it; you AND your dog can eat it. Mom loves it too, so we can share a treat together. Now that's bonding.